Specializing in the cleaning of trauma, crime, and bio-hazardous incidents. We understand that our particular service is usually attained under unfortunate and tragic circumstances. With this in mind, we provide the highest level of prompt, professional, and courteous service to all our clients. Trauma Scene Bio Services Inc. has extensive training, certification, and experience in dealing with various types of hazardous scenes. 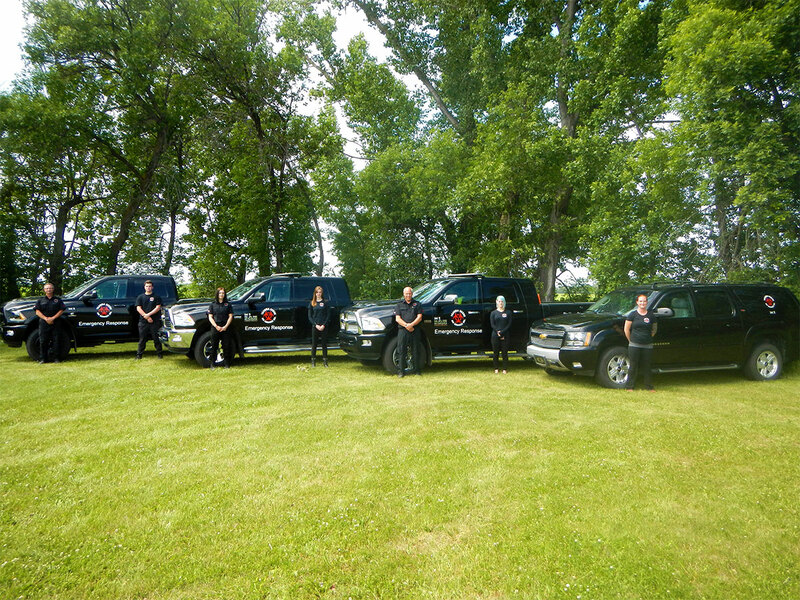 Our team specializes in trauma cleaning services, bio-hazard containment and disposal, clandestine drug lab remediation, as well as recovery and restoration of crime scenes and related incidents in all of Alberta. From thorough cleanup of blood from homicides, suicides, or accidents to total decontamination of crime scenes, vehicles, hoarding and prison cells, Trauma Scene Bio Services Inc. can properly handle every cleanup job and deliver immaculate results. Taking on the cleanup of accident or crime scenes on your own poses a danger to your health and wellness, when it is not done thoroughly and with the right equipment. It is important to avoid exposure to harmful substances and hazardous materials left behind by unfortunate incidents. Trauma Scene Bio Services Inc. offers the expertise of qualified and trained professionals equipped with proper gear and resources to handle bio-hazard containment and scene decontamination in order to effectively assist the community, police, fire, and emergency services personnel all over the province. Thank you Trauma Scene Bio for being there. You rushed to my scene from Edmonton area, (our business is in Calgary), and wasted no time in beginning the remediation cleanup. The sense of relief you gave to me, that let me know the cleanup was being handled to scientific standards is beyond description. I am a do it yourself kind of person and have always done most all of our company activities myself, but I knew I was in no way capable of dealing with this situation at all. Brent of Trauma Scene Bio Services Inc., who’s had 14 years of experience in this field of service, left no detail of the required actions untouched. He kept me advised of all of his activities as they progressed and made clear what future steps were to be expected to be done. Brent followed through to his word with every step of the cleanup process. Thank you Brent! And thank you Trauma Scene Bio Services Inc. for giving me the total peace of mind that my situation was being repaired as I relaxed.